Offering you a complete choice of products which include Prefabricated Composite Wall such as Prefabricated Sandwich Panels, Prefabricated Wall Panels and Prefabricated Concrete Wall. Our expertise lies in offering our clients a quality assured range of Prefabricated Composite Wall that is demanded in construction industries for its energy conservative and environment protective property. Our composite walls are manufactured at our well-established manufacturing unit using top notch material & use for external wall as well as internal wall in buildings including high rises. 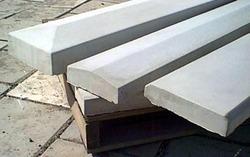 These composite walls are examined from our end on numerous parameters so as to deliver a flawless range to customers. Leveraging on our vast industry experience, we are offering our clients a finest quality range of Prefabricated Sandwich Panels. 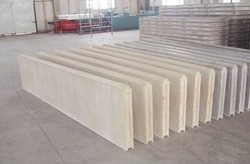 The offered sandwich panel is manufactured utilizing the finest material & best techniques as per the set norms of market. Due to its light weight, it helps in reducing the load bearing design of the RCC, thus savings in RCC steel cost. 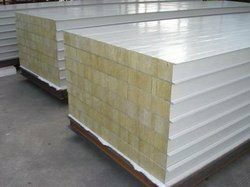 In addition, the sandwich panel offered by us is checked on well-defined parameters of quality so as to dispatch a defect free range. With our rich industry experience, we are engaged in offering our clients a wide collection of Prefabricated Wall Panels. Our wall panel is acclaimed in the market for its anti-seismic & impact resistance. This wall panel is manufactured from the high Calcium silicate board or Fibre cement board as face panels on both sides filled with core consisting of fly ash with cement. 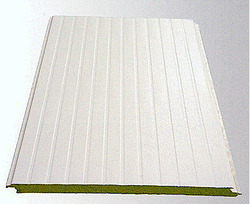 Clients can avail this wall panel from us at nominal prices in a given time frame. We are betrothed in offering an extensive collection of Prefabricated Concrete Wall. Our provided product is developed using top notch fly ash, cement & EPS (core) + Calcium Silicate + Calcium Silicate / Fiber Cement Board (face panel). The offered product is well checked in terms of quality before delivering to our customers. We are giving this product on numerous specifications as per the needs of customers. Looking for Prefabricated Composite Wall ?